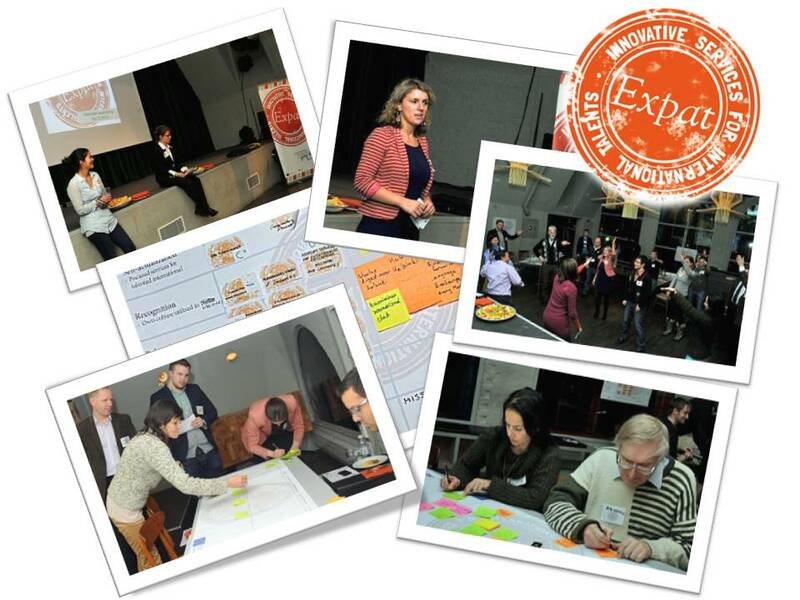 On the 3rd December 2012, EXPAT project Helsinki Consortium organised an expat workshop in Helsinki city centre. About 25 expatriates who reside in the greater Helsinki region participated in the workshop. From expat’s point of views, it was obvious that services for international knowledge workers in Helsinki are in a great demand. During the workshop, expats had great time to openly discussing and socialising. The workshop started with a warm welcome from Ms. Inka Kanerva, Development Manager of Uusimaa Regional Council and Ms. Fatbardhe Hetemaj, new member of Helsinki City Council from 2013. Then the participants were given an opportunity to share and discuss their experiences through designated matrixes which projected various phases, from a pre departure to their life experiences after a year of residing in the region. In addition, in order to measure how known are the expat services in the region, expats were given a number of the services suitable to them, and were asked to evaluate the services which they have ever used. In this regard it was vivid that many services for expats are in the region but their visibility is minimal. Expats were also asked to present any missing services and services that could be useful if available in the region. Ideas and suggestions were valuable for the project. The use of the matrixes was due to the need of EXPAT project to understand key service demands more from the user community. This way the project will be able to strengthen the development of its informative virtual platform as well as communicating further requirements to the decision makers. Generally, most of expats have found life in the greater Helsinki region satisfactory. Despite the cold weather and a homogenous society in comparison to many cities in the world, Helsinki region still wins hearts of the expats who moved here. It was however clear that, finding information about social and professional connections as well as networking need to be improved. Expats’ enthusiasm and appreciation for this event proved that the EXPAT project is on the right path. There is a need to promote information of service better in the region as it is a strong self-evidence that there are many of these services but, due to lack of publicity, used by few people. The project partners from Helsinki group namely, Uusimaa Regional Council, Culminatum Innovation and Laurea University of Applied Sciences appreciate the participation and all ideas that came up during the workshop. All ideas will be considered in the development of the virtual platform and recommendations to the decision makers. Expats and stakeholders’ inputs to the project development are important and are always encouraged. The project will launch its first pilot on the last week of February 2013. All expats will be invited to take part on the event and experience the service logic. This will support us by receiving feedback on and provide further ideas for development. Stay tuned to our website and contacts us if you would like to know more about EXPAT project. What is good, what is missing to make Turku region a happy home for you? November 29th 23 highly skilled expats were invited to Mauno Koivisto Center to answer this question. The event was organized by EXPAT project. The target of the project is to develop Innovative services for international talents and easier access to the Central Baltic Sea Region. As project partner and work package leader, Turku Science Park has dedicated exhaustive planning and solid works. The event started at a happy and relaxing atmosphere. Mr. Mika Akkanen, Manager of International Affairs at City of Turku, expressed a warm welcome to international talents and gratitude to EXPAT project. The story of EXPAT project was told by project manager, Ms. Christine Chang from Uusimaa Regional Council. English stand-up comedian Shaz Rahman made his audience laugh and touched by his expat experience. The result of the survey on the life quality of EXPAT in Turku region was disclosed by Ville Santalahti from The Regional Council of Southwest Finland. In Turku region there were 154 respondents who answered the survey. 78 % highly skilled expats feel they can ‘fulfill my goals in the country of residence’; only 34 % respondents think ‘there are activities to learn about the country and its customs’. In the workshop section, the expats were divided into three groups. They were asked to describe their needs based on a ‘timeline journey’ tracking the procedure before and one month, half a year, one year and five years after their moving into Turku region. They were also asked to evaluate ‘existing services’ in Turku region and propose ‘new services’ for the future. The result from the workshop indicates that a general guideline on the procedure of settling down is mostly needed. Furthermore, more social international events are on the top of the waiting list. We were impressed by this city full of ‘I amsterdam’ in every corner. Amsterdam, a city ranked as most business friendly city in Europe by foreign direct investments (FDI) magazine, uses this slogan to express its welcoming for expats. Another carrier of the message is Amsterdam Expat Center, a place opened in June 2008 and has served more than 6,000 expats per year. It is also the reason why our delegation, formed by our EXPAT project partners from Estonia, Latvia and Finland flew to Netherlands in November 23rd and started a two-day study trip. We were amazed by the Amsterdam Expat Center’s clear definition on their service target and its determination as well as strategy of cutting the red tapes for internationals. 60 kilometers away is the international city of Peace and Justice, the Hague. International Center opened its doors in November 2010. Despite its young existence, almost half of international organizations confirm their expat employees are using its services. At the time we arrived at the center was ongoing ‘Welcome to the Hague’ morning: Coffee and pastry were offered, information and stories were told, 34 newly arrived expats were starting their new journey from that point. Two days are too short to learn everything from forerunners, but long enough to convince ourselves of confidence and find the direction of our endeavors. Thank you Helsinki internationals for your interests. The local workshop is now fully booked. There will be more events coming next year. Stay tuned! Helsinki region Expats! Come and make the Helsinki region your own! How was your experience moving to the Helsinki region as an expat? Did you get any help in settling in? What should Helsinki region do in order to make this place your home to stay? Come and join us in EXPAT project’s workshop. Here is your chance to have your voice heard and meet like-minded internationals. We want to hear your opinion about the Helsinki region from your point of view! Limited seats available! Register now here! Your chance to have your voice heard and meet like-minded. A workshop for people who can speak English, have an education and have moved here from abroad (no matter for how long). We want to hear your opinion about the Turku region from your point of view! - Welcome by the Head of international affairs of the City of Turku. Stand-up comedy by English Comedy Club! 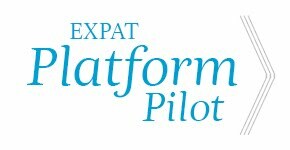 EXPAT is a two-year European Union Interreg IVA Central Baltic Sea Region -funded project. Its ultimate aim is to make the CBSR a more attractive destination, a more welcoming region to settle in, and a home to stay for talented internationals. Newsletter 1 : EXPAT project 6 months! Click here for our very first Newsletter, including the project Kick off in Helsinki and our first case study trip to Stockholm Global Expat Center! CEO Ilkka Paananen of IT company Supercell compares the making of a great work team to putting together a professional sports team: the competition is intense and on an international level. That's why the immigration procedures of skilled labour needs to be made easier for individuals and for the companies hiring them. We can become a global IT and games hub, but only with the help of politicians and state bureaucracies. The EXPAT Project started officially at the beginning of 2012 and will continues until the end of 2013. The subsidy contract with the Managing authority of the Central Batlci Sea Interreg IVA Managing Authority was signed on March 6th 2012. All of the project staff we very excited!